Health	Exuviance Review: Is it the real deal? Health	The Most Overrated Superfoods: Are They Doing More Harm Than Good? Health	Caudalie Vinoperfect Radiance Serum Review: Is it Effective? Health	Skinception Illuminatural 6i – Will this product perform better than any other? Moving in together can be a great test run. Thinking about it too early on in a relationship can make you want to scream inside though. The loss of freedom, sharing your stuff, sharing a bathroom — cohabitation can be a nightmare. But what if things with your partner are going really well? What if you feel really comfortable with them. I mean, they’re spending most nights at your place or you’re spending most of them at hers anyway. You might even be feeling some external pressure to move things along from friends and family. So, what are you waiting for? You should be waiting for these signs that it might be time to give it a go, take the leap and move in together. All relationships move at their own pace. That’s a simple truism. And that’s because there are two parties involved in every relationship. In order to move a relationship forward, there has to be a lot of compromise between the two of you. Maybe you get intimate faster, but she’s more closed off about sharing space. Maybe you play by the seat of your pants, and she wants a little more rigor in the scheduling. There’s a give and take there. But as you move the relationship forward, you’re both moving in the same direction — as a couple and as a unit. So, it’s important to give this whole moving-in decision some time. Get to know each other and discover your compatibilities, your conflicts, and where you guys can come together and compromise. Most data points to waiting a year in a relationship. AT LEAST one year. It’ll give you the time to discover more about the two of you. It’ll get you to share some time together, but it’ll also give you time to struggle. You’re already well aware of this, I’m sure, but relationships are not always sunshine and rainbows. There are some significant storms that crop up from time to time that’ll darken things. There are even some serious earthquakes that will really shake things up. Giving your relationship time to grow and breathe without the increased conflict of having to share a bathroom is important. It’ll give you a chance to see how the two of you handle conflict resolution. You can then bring that knowledge and experience to work for you when you experience the daily conflicts that arise when you’re living together, constantly bumping to each other, creating friction and blowups that you may never have foreseen. You need to give your relationship time to build a strong foundation and a bond between the two of you. That friction and those blowups — they’re going to work to tear you two apart. But if you have a solid foundation, and the bond between you is strong enough, then you’ll stick together through anything that comes up along the way. Time also gives you a chance to really get to know each other. You need a deep knowledge of your partner to be able to survive living together. You need to know how the other person actually lives. Their lifestyle, if you’ve made it this far, for the most part, probably compliments yours. In most ways. But there are bound to be conflicts — such as with the example I used earlier, where you enjoy freedom and spontaneity and she likes to schedule her days out beforehand. This may not have really cropped up before you lived together, but it could create some conflict when it does. You need to know that about her, but you also need to lay out how you’re going to compromise on it. Will accepting a schedule make you chafe? Or is it something that you’d be willing to let her handle because you’ve always felt you needed more structure in your life? Her rigor could benefit you by making up for a perceived weakness. Habits and quirks that you find cute at the start of a relationship can build over time into fights and breakups. It’s best to figure that out over the course of your relationship before you make a drastic step — such as moving in together. 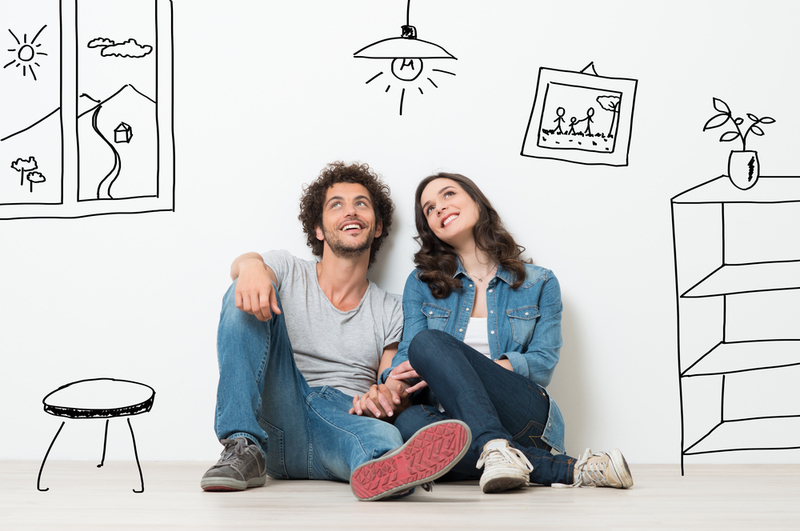 Empirical data shows that most men view moving in together from a more practical standpoint. They see the financial benefit. They see it as more comfortable than having to move from one place to another constantly. You’re together most nights anyway, why would you be paying two rents. You could consolidate your stuff, and that’s economically beneficial too. While women view it on a more emotional level, seeing moving in together as deepening the emotional bond between the two of you. So, talk it out. If you’re thinking of moving in together, make sure the two of you are on the same page as to why. Talk about what it means for your relationship, especially what it means for its future. When the factors for moving in for each of you align, then you’re much less likely to see conflict arise later regarding the pace fo the relationship, or the closeness between the two of you. The most important factor for knowing if you’re ready to move in together is a little circular. You should only move in together if you’re ready. You both need to be on the same page, you both need to know each other well enough to be able to avoid certain relationship landmines, and know how to defuse them when you inevitably step on one. Because you will. And it will go off. You really can only know someone so well without living with them. It totally changes things. But you should have a strong foundation in your relationship already to be able to handle all of the new surprises that are bound to crop up along the way. Once you put in the time and the effort, once you know each other well enough — if not inside and out — then, you’ll be a few steps closer to knowing whether you are ready to take the leap and move in together.